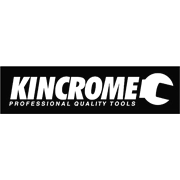 A handy addition to any toolkit, the Kincrome 3/8" square drive stubby ratchet. 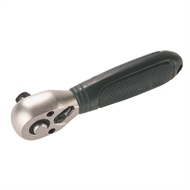 This convenient little ratchet is specially designed with a non-slip PVC grip handle for precision control and comfort. Featuring 36 teeth, this ratchet produces a 10° swing, meaning even in tight places, with restricted access, you only need 10° to engage the ratchet teeth. The quick release function, allows the user to attach and detach sockets easily from the square drive, even with oily fingers. Simply change direction of the ratcheting mechanism by flipping the switch. Satin finish for rust & corrosion protection. Satin finish for rust & corrosion protection.